serve one primary goal: to protect the public. Adulterated means to have been altered to an unacceptable extent, to a degree in excess of tolerances allowed by the quality control process. The Nutraceutical Alliance can easily help you achieve the level of regulatory documentation needed for your nutraceutical supplement or health supplement. *scientific dossiers for each nutraceutical supplement, providing summary of and reference to evidence based research for function and for safety. Even if the product does not need to be registered, it is ‘best practice’ to have this dossier for each product in the event of a regulatory inspection. The FDA in the United States and the Canadian Food Inspection Agency conduct unannounced inspections of retails premises and manufacturing facilities. * quality control manuals with standard operating procedures that drive the quality control program. The quality control program manual includes sourcing of ingredients, through to manufacturing, packaging, storage, shipment and distribution. * periodic oversight of the manufacturing process prior to regulatory inspections, so as to help ensure that your supplement manufacturing facility and process obtain a “clean” inspection report. Contact us today to let us know your needs. In the United Sates, nutraceutical supplements are regulated by the Food and Drug Administration (FDA), both for people and animals. The FDA conducts enforcement inspections of facilities so as to help ensure food and supplement safety. 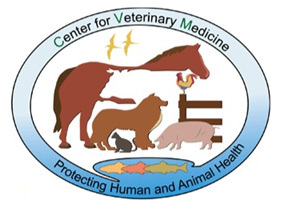 Nutraceutical and nutritional ingredients in animal foods are also regulated by the FDA and administered by the Center for Veterinary Medicine (CVM). The regulations are enforced on a state-wide basis, and the governing body is the American Association of Feed Control Officials (AAFCO). The CVM has a very strong working relationship with the AAFCO. Ingredients that have an approved AAFCO definition, or that are GRAS (generally recognized as safe) by the CVM, or that meet the requirements laid out in a Feed Additive Petition can be used in animal foods and supplements. The FDA requirements are that the ingredients and products are 1) safe and 2) there is reasonably good scientific information supported their intended use. For nutraceutical supplements for companion (non-food) animals there is also a 4th option. The National Animal Supplements Council (NASC) is recognized by the FDA. The mandate of the NASC is to ensure safety of ingredients, nutraceutical supplements, natural supplements, health supplements produced by nutraceutical supplement manufacturers. Like the FDA and AAFCO, there is a rigorous system of review for ingredients and suppliers, as well as quality control in supplement manufacturing and distribution. Health Canada oversees human and animal food safety, and the food safety regulations are enforced by the Canadian Food Inspection Agency (CFIA). Pet foods are not presently regulated in Canada, however industry standards are high and there is a level of facility and product oversight conducted by both the CFIA and FDA (for those producers exporting to the USA). At this point a nutraceutical ingredient can be included in pet foods in Canada without a need to register the product. Animal feed supplements can be of two main types - completely nutrient based, or partly veterinary health based. If it is a health supplement or nutraceutical supplement the product should be notified under the Veterinary Health Products program. The VHP program is a system of voluntary registration of ingredients, health supplements and nutraceutical supplements. In a 5-year period more than 12,000 veterinary health products were successfully notified. This represents the variety of veterinary health products, which includes nutraceutical supplements, presently available in Canada and elsewhere. Many of the notifications originate from EU countries, the USA, Australia and India. New ingredients are carefully reviewed (on paper) for safety and efficacy in target species and added to a growing list of ingredients approved as safe for use. New products notifications are reviewed and if requirements are met, then the product is issued a Veterinary Health Product notification number (NN). The NN must be shown on product labels, and the VHP designation therefore lets the consumer know that the product is deemed safe – this should be considered a very useful nutraceutical supplement marketing tool, even for marketing outside of Canada. The regulatory body of human and animal food (and nutraceutical supplement) safety in the European Union is the European Food Safety Authority (EFSA). New ingredients and health supplement notifications are reviewed, and those that meet requirements are added to the database of ingredients and products deemed safe. The feed ingredient and feed additive categories differ from those used by the FDA. Dossiers of supporting the use of ingredients for a particular nutritional (ParNut) purpose are developed and maintained by producers of nutraceutical supplements. The Nutraceutical Alliance can develop health supplement and nutraceutical supplement ParNut dossiers for you. The body providing regulatory oversight animal nutraceutical ingredients and nutraceutical supplements is the Australian Pesticides and Veterinary Medicines Authority (APVMA). The notification and review program is similar to that of other countries, although care must taken of regulatory requirements of imported products.